At the Skin of Color Seminar Series 2018 (now Skin of Color Update), Dr. Valerie Callender focused on how structural differences in afrocentric hair and cultural haircare practices contribute to the high prevalence of alopecia in African American women in particular. Dr. Callender started her lecture with an introduction to alopecia – one of the most common dermatologic concerns of African American patients. Given that healthy hair is considered to be a sign of beauty, youth, and attractiveness, alopecia has a huge negative impact on the quality-of-life of affected individuals. The psychological comorbidity of hair loss makes it essential that physicians understand the etiology, diagnosis, and treatment of common causes of scarring and non-scarring alopecia. *It is important to note that patients can present with BOTH scarring and non-scarring alopecia, and both must be considered during the work-up*. 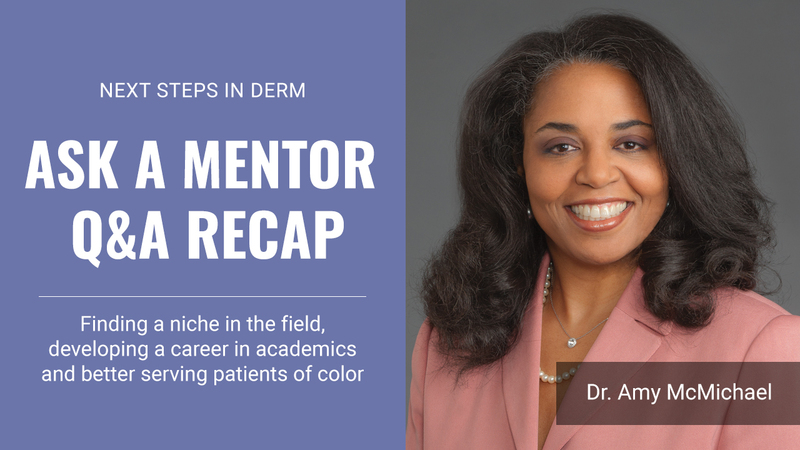 We had the opportunity to ask a mentor, Dr. Amy McMichael, chair and professor of dermatology at Wake Forest University Health Sciences and Skin of Color Update faculty, questions about establishing a career in academics, finding a mentor, and better serving patients of color. See all of her insightful answers below. 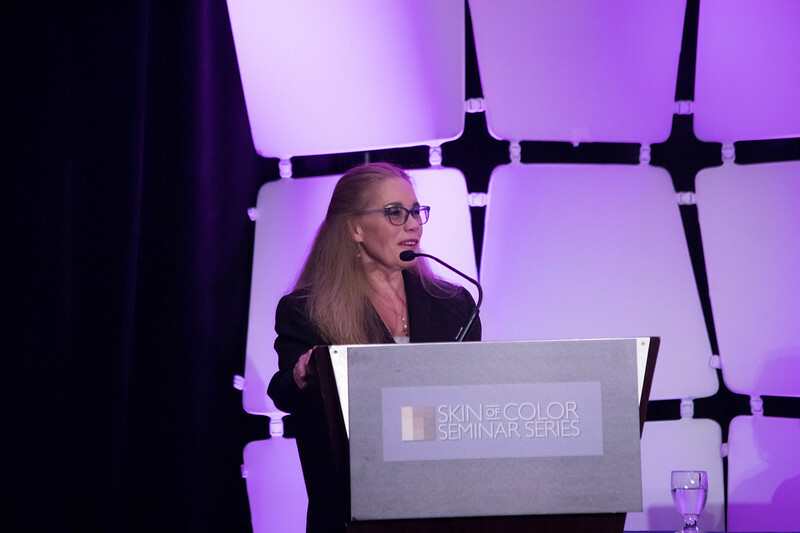 Q1: I previously attended the Skin of Color Seminar Series (now Skin of Color Update) and while sitting in the audience, I noticed that many of attendees appeared to be white physicians. Do you think there’s a representation problem in Dermatology, and could it be impacting our patients? However, we know from other research in the house of medicine that Dermatology is second only to Orthopedics in having the worst representation of African Americans. Also identified as a major problem is the poor pipeline of under-represented minorities in college, medical school, and ultimately, in residency. We all have lots of work to do in terms of mentoring at every level to get the pipeline full of appropriate candidates. In addition to this, we need to all be thoughtful about looking at residency applicants who may not be traditional, but who would make resilient and excellent dermatologists. Q2: Most dermatologists (at least most of the ones I know) seem to think they don’t need special training for treating patients of color and can’t seem to acknowledge that a gap in training exists. As a dermatologist of color, I find it personally frustrating. Do you find this to be true among your peers? If so, how do you address this with them? Psoriasis in Skin of Color: Are there differences in Presentation and Treatment? While previously thought to be a rare diagnosis in non-white racial ethnic groups, more recent data has shown that psoriasis in patients with skin of color is much more common than was once thought. 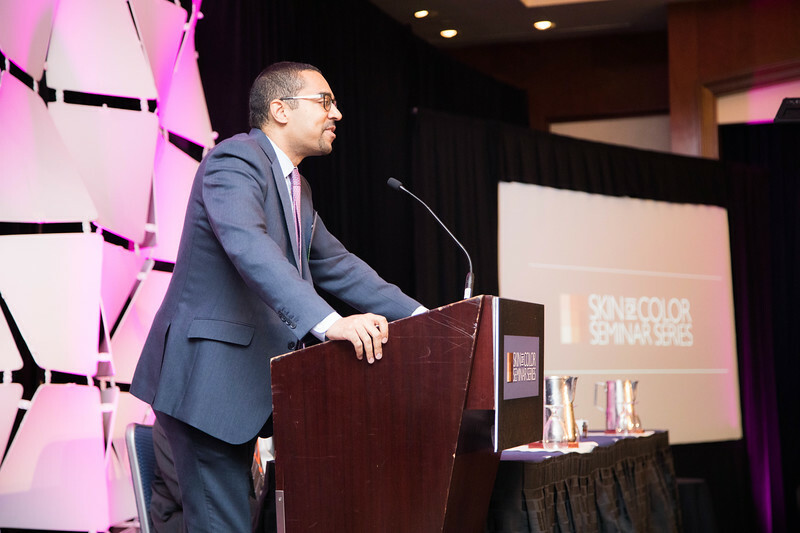 Dr. Andrew Alexis spoke during the Skin of Color Seminar Series (now Skin of Color Update) in New York City on May 5th, 2018 on this condition and on the important differences in clinical characteristics, diagnosis, and treatment of psoriasis in skin of color. Beginning with the diagnosis of psoriasis in skin of color, it is important to be aware that the classic red plaque typically seen in Caucasian skin may appear more violaceous or even red-brown in our skin of color patients. This can be confusing with the similar appearing, but histologically unique entity, lichen planus. Pay close attention to the distribution of the plaques—extensor surfaces and asymptomatic will favor psoriasis whereas flexural and pruritic may favor lichen planus. 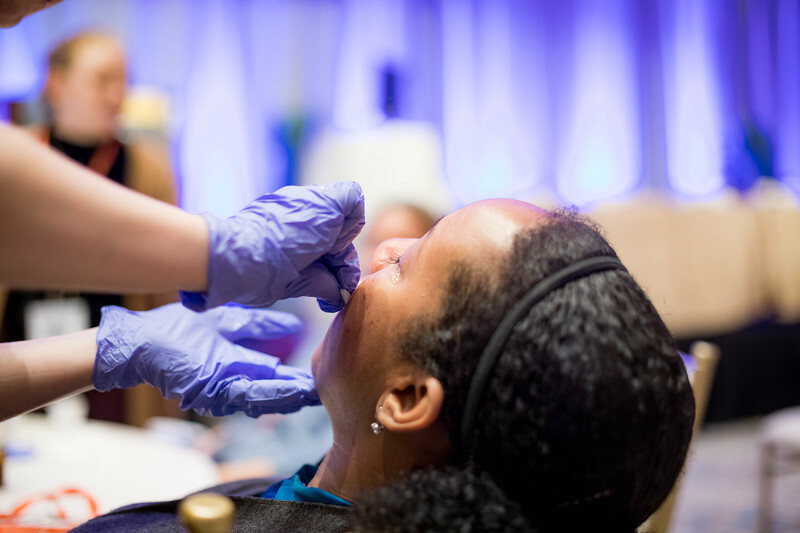 Other conditions that may be more common in our skin of color patients such as sarcoidosis or hypertrophic discoid lupus also need to be considered. Once a diagnosis of psoriasis is established, it is important to understand the intricacies of treating the psoriasis in skin of color patients. For example, when treating psoriasis of the scalp, it is important to select practices and treatments that are compatible with the patients’ hair care regimen and hair texture. It is critical to determine how frequently patients are washing their hair and how feasible it is for patients to use a daily solution or medication on the scalp. One potential option shown to have clinical benefit is a mixture of calcipotriene and betamethasone dipropionate in a castor oil vehicle. Dermatologists have always known that different ethnic skin types age at different rates, but until now there hasn’t been clear evidence that these phenotypic differences have a pathophysiologic and histologic basis. 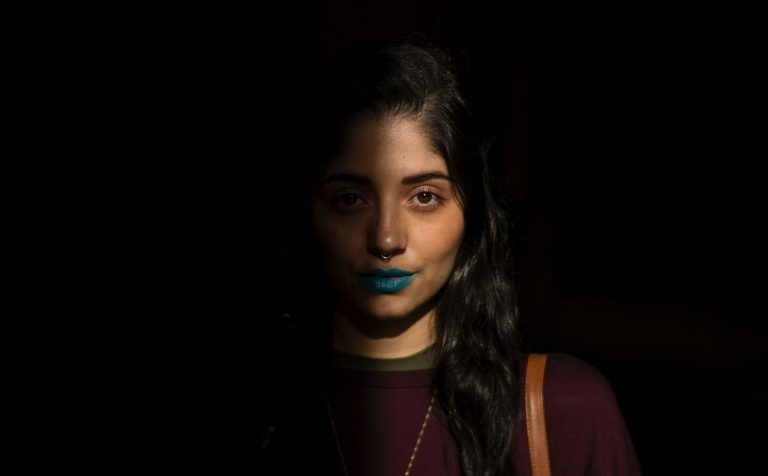 Maritza Perez, M.D., Icahn School of Medicine at Mount Sinai, New York, presented new research illustrating the aging process across the decades and how it differs between ethnic skin types. Read more. If a Caucasian patient comes to my practice they will be looking for treatment for sun damage, wrinkles and capillaries, whereas, if it is a person of color, they will be looking for treatment for dark spots — dark spots from hair, dark spots from melasma, dark spots from scars, says Eliot F. Battle, Jr., M.D., CEO and Co-Founder, Cultura Dermatology and Laser Center, Washington, D.C. Source: J Drugs Dermatol. 2018;17(4):397-400. The association of frontal fibrosing alopecia (FFA) and lichen planus pigmentosus (LPPigm) is rare. Prior reports suggest that FFA and LPPigm are on the same spectrum of disease, and a diagnosis of LPPigm may predict the future development of FFA. We aim to further characterize the association between FFA and LPPigm by reviewing the clinical cases of seven African American women. Seven patients with FFA were diagnosed clinically by recession of frontotemporal hairline and confirmed by histopathologic examination showing lymphocyte-mediated cicatricial alopecia. LPPigm was diagnosed by clinical evaluation alone based on the characteristic morphology, color, and distribution of the lesions. It is difficult to distinguish whether halted progression of FFA was due to the success of the treatment regimen or spontaneous stabilization of disease over time. Our case series supports the theory that FFA and LPPigm likely exist on the same spectrum of disease. Our observations demonstrate a likely positive correlation between FFA and LPPigm. Dr. Andrew Alexis is the Chair of the Department of Dermatology at Mount Sinai St. Luke’s and Mount Sinai Roosevelt. He is also Associate Professor of Dermatology at the Icahn School of Medicine at Mount Sinai. Dr. Alexis is the Co-Chair of the Skin of Color Seminar Series in New York City. During the 2017 conference he provided practical pearls and treatment outlines for skin of color patients with scalp psoriasis. 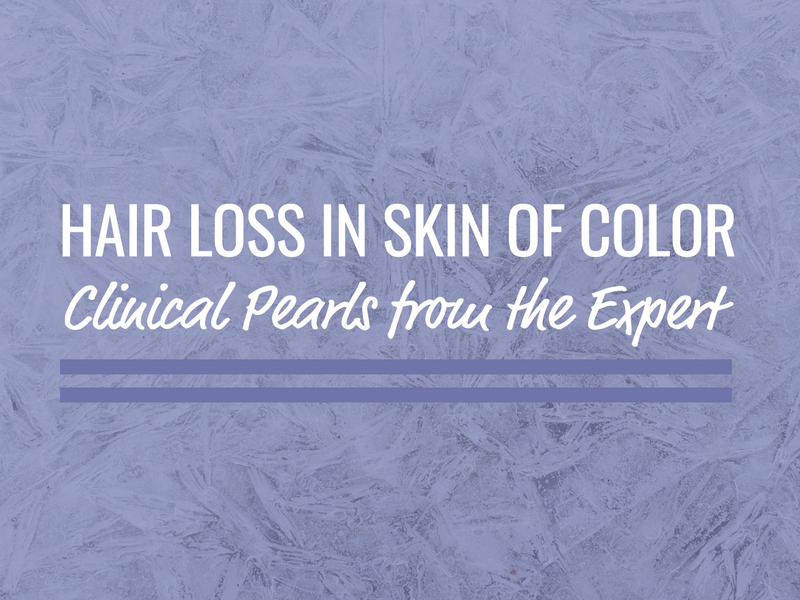 Dr. Alexis recommends selecting a treatment regimen that is compatible with the patient’s hair care practices including less frequent hair washing in women of African descent (typically once per week to once every other week). Daily hair washing, especially with most prescription shampoos, is often associated with increased hair dryness and breakage. 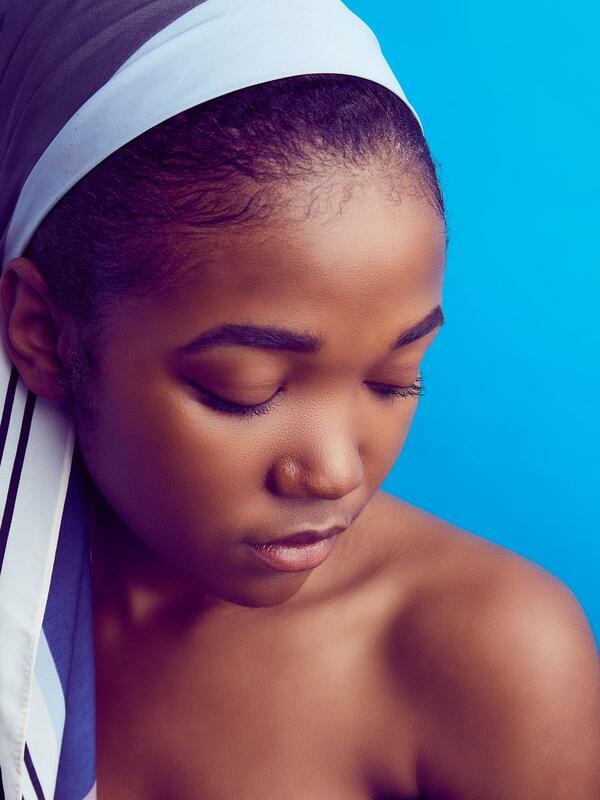 In addition, it is also very time consuming for most women of African descent due to common styling practices. 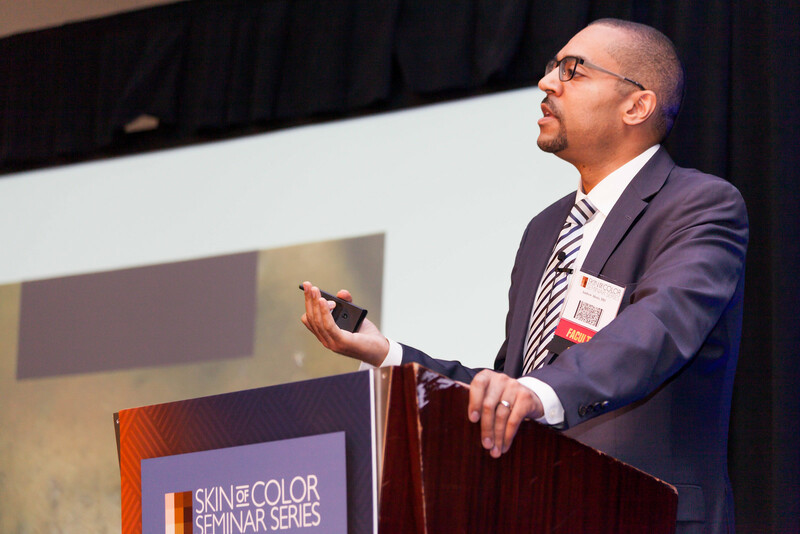 Attendees at the Skin of Color Seminar Series May 5-6 in NYC will have the opportunity to dig deeper into psoriasis treatment in skin of color patients as Dr. Alexis gives his latest updates, pearls and therapeutic insights and also personally answers attendees’ most pressing questions.